Minister Yang-hee Choi of Ministry of Science, ICT and Future Planning (MSIP) delivers a lecture on startups for young scientists at UNIST. 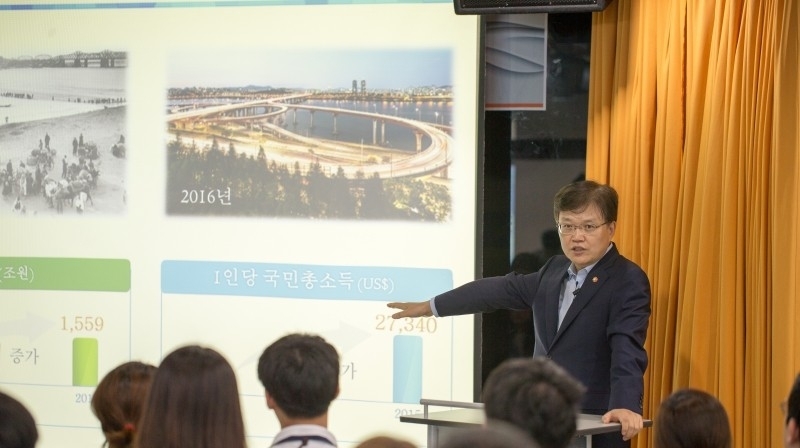 Minister Yang-hee Choi visited UNIST to deliever a special lecture on startups. On Wednesday, July 6th, 2016, the Ministry of Science, ICT and Future Planning has reached out to UNIST in a bid to strengthen entrepreneurship education for college students and expand start-up infrastructure at universities. 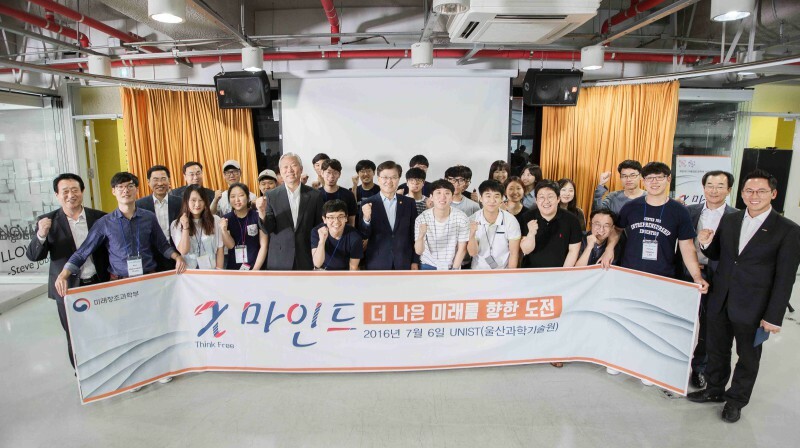 The “Start-up Talk Concert” was attended by Minister Yang-hee Choi of Ministry of Science, ICT and Future Planning (MSIP), Director of Science, ICT & Future HR Policy Bureau, UNIST President Mooyoung Jung, Vice President Jae-Sung Lee, Prof. Franklin Bien (Dean of Public Relations & International Affairs), and UNIST students interested in starting their own business. 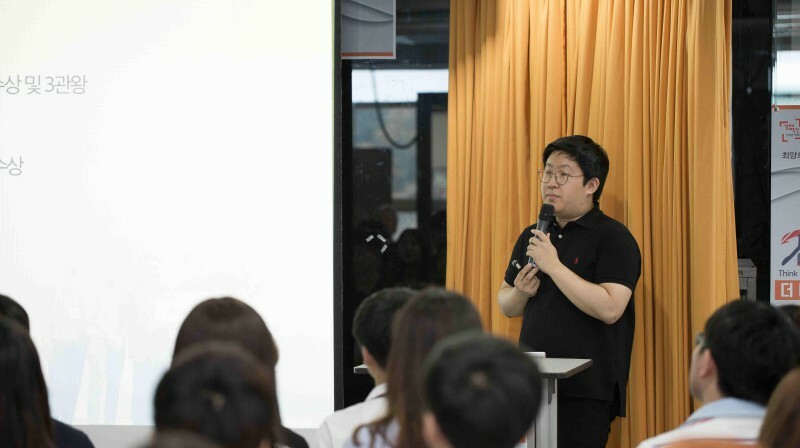 At the event, two student-led entrepreneurial venture teams from UNIST, Nspoons Inc. and Pedaling talked about their on-going projects, such as ‘Big Data based Dog Food Information Site’ and ‘Daily Private Lesson Application’. KiHyuk Lee, CEO of Nspoons Inc. talking about ‘Big Data based Dog Food Information Site’ at the Start-up Talk Concert. KiHyuk Lee, CEO of Nspoons Inc. says, “Launching a start-up can be very challenging, but the hardest part of starting up is starting out”. He adds, “Keep trying entrepreneurs, you never know how close you are to success”. At the “Start-up Talk Concert”, Minister Yang-hee Choi of MSIP also delievered a special lecture on startups for youth start-ups, entitled ‘Challenge for a Better Future’ to mark the occasion. The “Start-up Talk Concert” attendees are posing for a group photo on July 6, 2016. UNIST strives to help students develop an entrepreneurial mindset, provide support to student start-up associations and hold forums to link student entrepreneurs and investors. Moreover, UNIST has start-up support systems in place and uses part of their surplus funds and tuition reserves to provide seed money to start-ups launched by its students.